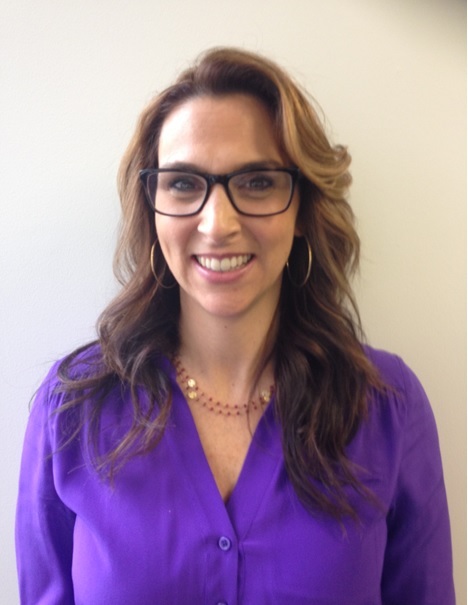 Article by Heather Samaras, Regional Director in Jobspring San Francisco. Interested in moving to San Francisco for a tech career but don’t know how to get your search started? I can help. It’s no secret that San Francisco is booming with tech opportunities. With over 55,000 open tech jobs in SF, it is the place to be for anyone wanting a tech career. However, this year SF surpassed NYC as the most expensive city to live in the U.S. This fact is overwhelming to someone looking to move. Working in tech recruiting in San Francisco, I constantly hear candidates asking how they can pick up and move to this expensive city of opportunity. In short, it is possible to move here. It takes strategy and smarts, but it can be done. Here are 3 easy steps to realizing your dream of moving and taking advantage of on the 55K open tech jobs in San Francisco. 1. Be prepared to pack your bags and make the move. The market moves quickly here. It’s important to do your research and figure out where you want to live. San Francisco’s Real Estate market is highly competitive. The most important thing about finding an apartment is being informed. Research different neighborhoods and the average cost of a one bedroom apartment. When looking online for an apartment, utilize the search engine that was created here, Craigslist. Lastly, in SF, you must plan on having the cash ready to pay first and last month’s rent immediately after looking at an apartment. It’s a quick market, but if you go with your gut, you will be able to find a place. 2. Start scheduling interviews immediately. Start your search online. You can search Indeed.com to find open technical positions in the area. Use the filters for San Francisco and technology to narrow your search. Another great way to kick start your search is partnering up with a Technical Recruiting firm that specializes in the type of tech position you are looking for. Jobspring Partners is a great resource. Utilizing a recruiting firm will give you an opportunity to have “eyes” on the street for you. You will need an advocate to push your background out for interviews. Keep in mind that it typically takes at least 6-8 phone screens (with different companies) and multiple on-site interviews (with different companies) to land a job. Additionally, remember that not all companies will pay for relocation or travel expenses. Some companies will provide that benefit, but don’t expect it or have it block you from interviewing with a company. I see a decent amount of companies offering the candidate a sign-on bonus (to help with moving costs) once they make the offer. Once you get your feet wet with technical phone interviews and you have a couple opportunities brewing, it makes sense to purchase a ticket and fly out. This shows the potential employers a “seriousness” level that can help to facilitate the on-site interviews. Make every interview count and put your best foot forward. If a company offers to do a Skype interview, keep a few things in mind. I’ve seen companies utilizing Skype to interview and hire candidates without even meeting with them in person. This is not the “norm” but it absolutely happens from time to time. Remember when you interview with a company on Skype, think about your surroundings. Don’t sit on your unmade bed with a t-shirt on as this would project a messy or casual feeling in the interview. Treat a Skype interview like you would an on-site—remember you only have one chance to make a great first impression. 3. Use your network. Once you decide to make the move, tell everyone. If you put out that energy, it will happen. Make sure to utilize the easy ways to expand your network. An example of this is updating your LinkedIn profile so that you are open to tech positions in San Francisco. Additionally, reach out through any of your first connections on LinkedIn that are local to the San Francisco market and ask if they know any connections that may help you. Join San Francisco tech groups on LinkedIn and connect with people in that group. People post open positions in those groups, so it’s a great way to find opportunities you might not elsewhere. Make sure your LinkedIn profile is up to date and very detailed with your experience. If you have a GitHub account, be active with current code and projects. Your personal website should have an updated version of your resume (that resume is searchable to employers & recruiters). By doing these simple things, you are marketing yourself and expanding your reach to employers in the SF area. This can really make a difference to how fast you land a great job here. Take these tips and pick a date for your big move. If you follow these guidelines and act quickly and intelligently, you too can make the move to San Francisco and join the booming tech industry that is constantly growing here. Then, once you have your dream tech job landed, you will never look back.